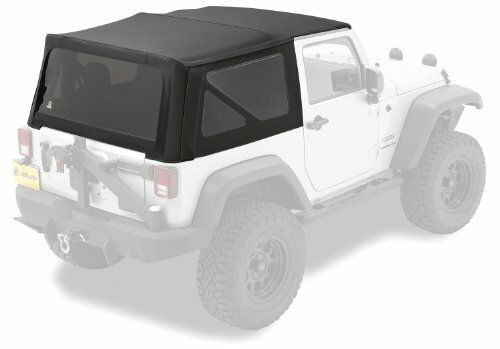 Bestop 55629-35 Wrangler Supertop Classic Replacement Skins, Tinted Windows, Black DiamondCategory: Bestop Supertop Replacement SkinThis part is compatible with: 1997-2004 Jeep Wrangler Sahara, 1997-2006 Jeep Wrangler SE, 1997-2006 Jeep Wrangler Sport, 1998-2001 Jeep Wrangler, 1999-1999 Jeep Wrangler, 2002-2006 Jeep Wrangler X, 2003-2006 Jeep Wrangler Rubicon, 2004-2006 Jeep Wrangler Unlimited, 2005-2006 Jeep Wrangler Unlimited Rubicon, 2006-2006 Jeep Wrangler 65th Anniversary Edition. 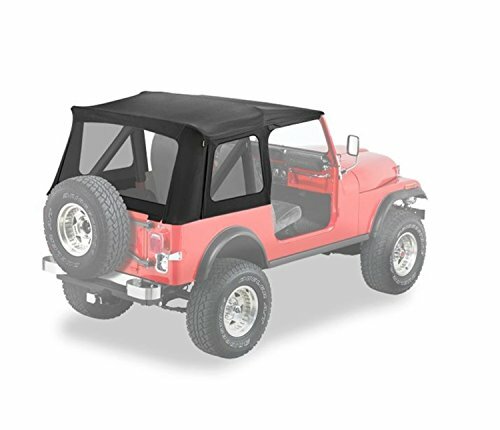 Bestop 557 Cj7 Supertop Classic Replacement Skins, Clear Windows, Black DenimCategory: Bestop Supertop Replacement SkinThis part is compatible with: 1976-1986 Jeep CJ7. 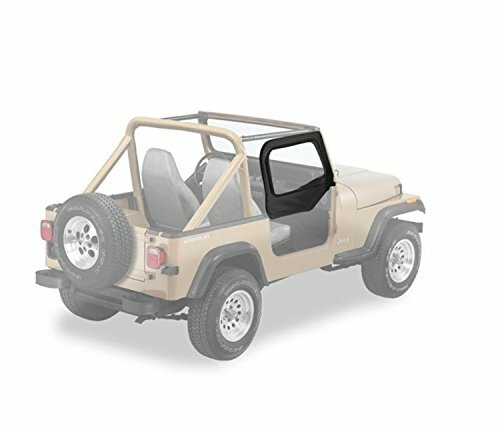 Bestop 55729-37 Cj7/Wrangler Supertop Classic Replacement Skins, Tinted Windows, SpiceCategory: Bestop Supertop Replacement SkinThis part is compatible with: 1976-1986 Jeep CJ7, 1987-1988 Jeep Wrangler Sport, 1987-1990 Jeep Wrangler Laredo, 1987-1993 Jeep Wrangler, 1988-1992 Jeep Wrangler Islander, 1988-1994 Jeep Wrangler S, 1988-1995 Jeep Wrangler Sahara, 1991-1994 Jeep Wrangler Renegade, 1994-1995 Jeep Wrangler SE, 1995-1995 Jeep Wrangler Rio Grande, 2007-2010 Jeep Wrangler Rubicon 2 Doors, 2007-2010 Jeep Wrangler Sahara 2 Doors, 2007-2010 Jeep Wrangler Unlimited Rubicon 2 Doors, 2007-2010 Jeep Wrangler Unlimited Sahara 2 Doors, 2007-2010 Jeep Wrangler Unlimited X 2 Doors, 2007-2010 Jeep Wrangler X 2 Doors, 2009-2009 Jeep Wrangler X-S 2 Doors, 2010-2010 Jeep Wrangler Islander 2 Doors, 2010-2010 Jeep Wrangler Mountain 2 Doors, 2010-2010 Jeep Wrangler Sport 2 Doors, 2010-2010 Jeep Wrangler Unlimited Islander 2 Doors, 2010-2010 Jeep Wrangler Unlimited Mountain 2 Doors, 2010-2010 Jeep Wrangler Unlimited Sport 2 Doors. Bestop Supertop Classic Replacement Skins, Tinted WindowsCategory: Bestop Supertop Replacement SkinTop-SoftSupertop; Soft Top; Replacement SkinSupertop; Soft Top; Replacement Skin; Spice; Incl. Fabric And Tinted Windows; w/o Doors Or Hardware;FEATURES:Patent. Belt-Rail Attaches SystemNo Drilling Required/No SnapsIncludes Fabric And WindowsDoors Also Avail. SeparatelyInstallation Video IncludedCompatible w/3 Door ConfigurationZIP-Out Replaceable WindowsHardware Not IncludedBestop has been in business for over 50 years. 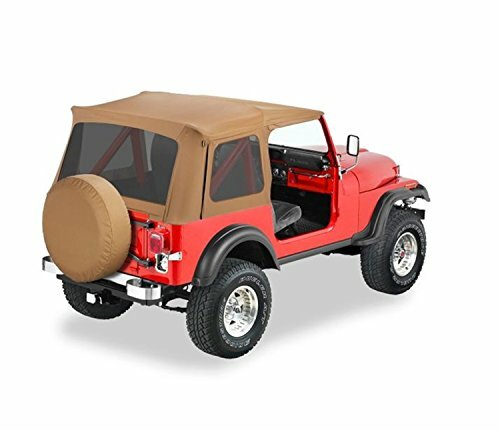 Starting out as a small trim shop making canvas tops for WWII Jeeps in Boulder, Colorado, we have gradually expanded our product lines and operation over the years to be your full service Jeep top and Jeep accessories provider. 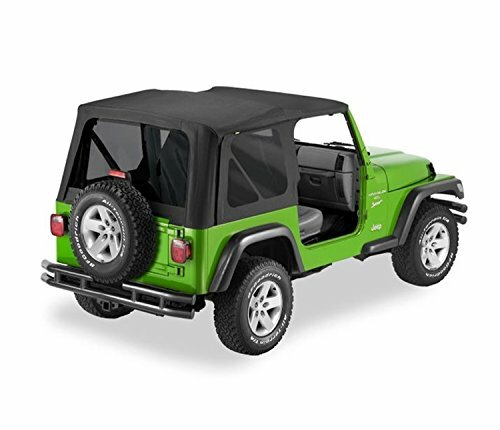 Bestop has been the factory original supplier to DaimlerChrysler for Jeep soft tops since 1986. Bestop has also been the factory supplier of soft tops and accessories for Suzuki, Isuzu, GM, Toyota and many other small SUVs. Additionally, we've also been serving the Toyota truck market and Toyota accessories market for Land Cruiser for over 30 years. At Bestop, we proudly utilize the finest materials and adhere to the factory original specifications for fit, function, style and craftsmanship - so you know you're getting the best there is. Bestop Supertop Classic Replacement Skins, Clear WindowsCategory: Bestop Supertop Replacement SkinTop-SoftSupertop; Soft Top; Replacement SkinSupertop; Soft Top; Replacement Skin; Black Denim; Incl. Fabric And Clear Windows; w/o Doors Or Hardware;FEATURES:Patent. Belt-Rail Attaches SystemNo Drilling Required/No SnapsIncludes Fabric And WindowsDoors Also Avail. SeparatelyInstallation Video IncludedCompatible w/3 Door ConfigurationZIP-Out Replaceable WindowsHardware Not IncludedBestop has been in business for over 50 years. 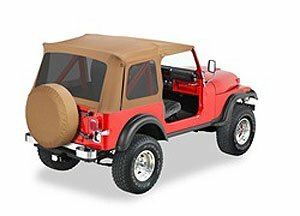 Starting out as a small trim shop making canvas tops for WWII Jeeps in Boulder, Colorado, we have gradually expanded our product lines and operation over the years to be your full service Jeep top and Jeep accessories provider. Bestop has been the factory original supplier to DaimlerChrysler for Jeep soft tops since 1986. Bestop has also been the factory supplier of soft tops and accessories for Suzuki, Isuzu, GM, Toyota and many other small SUVs. Additionally, we've also been serving the Toyota truck market and Toyota accessories market for Land Cruiser for over 30 years. At Bestop, we proudly utilize the finest materials and adhere to the factory original specifications for fit, function, style and craftsmanship - so you know you're getting the best there is. Bestop Supertop Classic Replacement Skins, Tinted WindowsCategory: Bestop Supertop Replacement SkinTop-SoftSupertop; Soft Top; Replacement SkinSupertop; Soft Top; Replacement Skin; Black Denim; Incl. Fabric And Tinted Windows; w/o Doors Or Hardware;FEATURES:Patent. Belt-Rail Attaches SystemNo Drilling Required/No SnapsIncludes Fabric And WindowsDoors Also Avail. SeparatelyInstallation Video IncludedCompatible w/3 Door ConfigurationZIP-Out Replaceable WindowsHardware Not IncludedBestop has been in business for over 50 years. 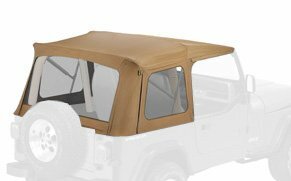 Starting out as a small trim shop making canvas tops for WWII Jeeps in Boulder, Colorado, we have gradually expanded our product lines and operation over the years to be your full service Jeep top and Jeep accessories provider. 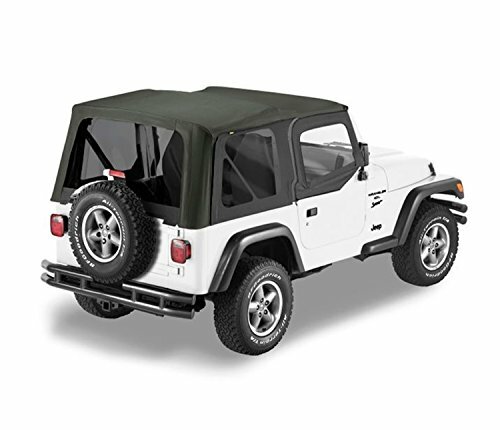 Bestop has been the factory original supplier to DaimlerChrysler for Jeep soft tops since 1986. Bestop has also been the factory supplier of soft tops and accessories for Suzuki, Isuzu, GM, Toyota and many other small SUVs. Additionally, we've also been serving the Toyota truck market and Toyota accessories market for Land Cruiser for over 30 years. At Bestop, we proudly utilize the finest materials and adhere to the factory original specifications for fit, function, style and craftsmanship - so you know you're getting the best there is. 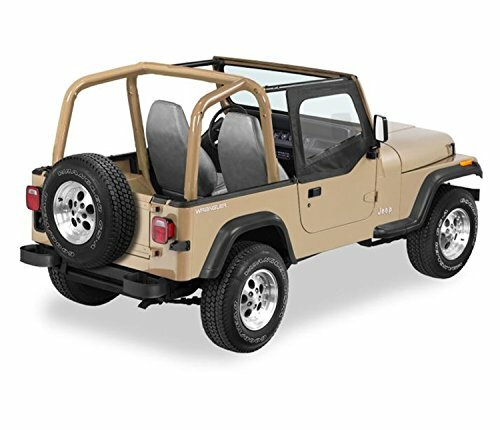 Bestop 55729-15 Supertop Replacement Skin For TjsCategory: Bestop Supertop Replacement SkinThis part is compatible with: 1976-1986 Jeep CJ7, 1987-1988 Jeep Wrangler Sport, 1987-1990 Jeep Wrangler Laredo, 1987-1993 Jeep Wrangler, 1988-1992 Jeep Wrangler Islander, 1988-1994 Jeep Wrangler S, 1988-1995 Jeep Wrangler Sahara, 1991-1994 Jeep Wrangler Renegade, 1994-1995 Jeep Wrangler SE, 1995-1995 Jeep Wrangler Rio Grande, 1997-2004 Jeep TJ Sahara, 1997-2006 Jeep TJ SE, 1997-2006 Jeep TJ Sport, 2003-2006 Jeep TJ Rubicon. 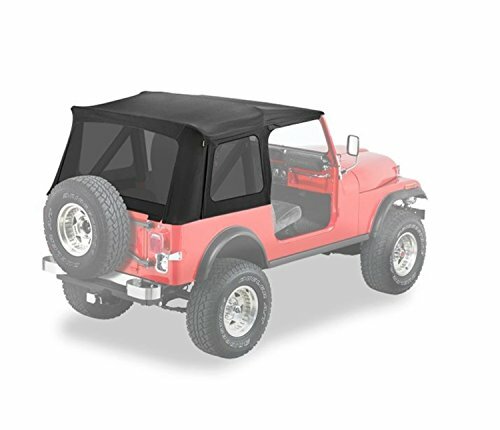 Bestop 54709-35 Jeep Wrangler with Tinted Windows Supertop Replacement Top, Black DiamondCategory: Bestop Supertop Replacement SkinThis part is compatible with: 1997-2004 Jeep TJ Sahara, 1997-2004 Jeep Wrangler Sahara, 1997-2006 Jeep TJ SE, 1997-2006 Jeep TJ Sport, 1997-2006 Jeep Wrangler SE, 1997-2006 Jeep Wrangler Sport, 2002-2006 Jeep Wrangler X, 2003-2006 Jeep TJ Rubicon, 2003-2006 Jeep Wrangler Rubicon, 2004-2006 Jeep Wrangler Unlimited, 2005-2006 Jeep Wrangler Unlimited Rubicon, 2006-2006 Jeep Wrangler 65th Anniversary Edition. 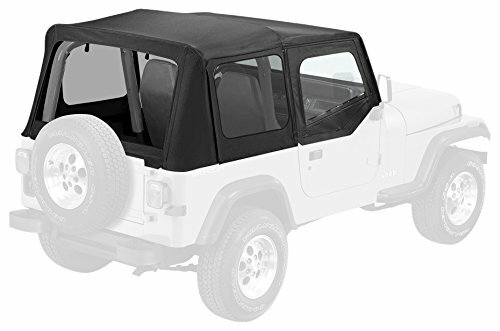 Bestop 79140-35 Jeep Wrangler Unlimited with Tinted No Skin Windows Supertop Replacement Top, Black DiamondCategory: Bestop Supertop Replacement SkinThis part is compatible with: 2004-2006 Jeep Wrangler Unlimited, 2005-2006 Jeep Wrangler Unlimited Rubicon. Bestop 54723-35 Jeep Wrangler Unlimited with Tinted Windows Supertop Nx Replacement Top-Dark DiamondCategory: Bestop Supertop Replacement SkinThis part is compatible with: 2007-2010 Jeep Wrangler Unlimited X, 2007-2015 Jeep Wrangler Unlimited Rubicon, 2007-2015 Jeep Wrangler Unlimited Sahara, 2010-2010 Jeep Wrangler Unlimited Islander, 2010-2010 Jeep Wrangler Unlimited Mountain, 2010-2015 Jeep Wrangler Unlimited Sport. 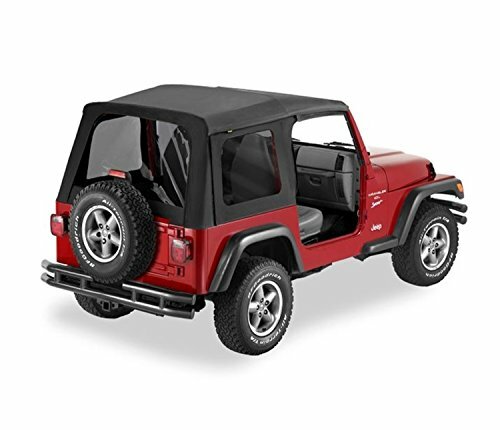 Bestop 55629-15 Jeep Wrangler with Tinted Windows Supertop Replacement Skins, Black DenimCategory: Bestop Supertop Replacement SkinThis part is compatible with: 1997-2004 Jeep TJ Sahara, 1997-2004 Jeep Wrangler Sahara, 1997-2006 Jeep TJ SE, 1997-2006 Jeep TJ Sport, 1997-2006 Jeep Wrangler SE, 1997-2006 Jeep Wrangler Sport, 2002-2006 Jeep Wrangler X, 2003-2006 Jeep TJ Rubicon, 2003-2006 Jeep Wrangler Rubicon, 2006-2006 Jeep Wrangler 65th Anniversary Edition.